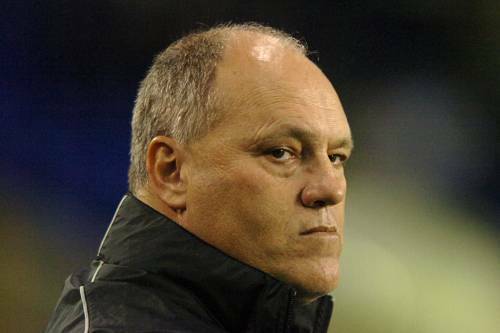 Word on the wire is that Fulham will install Martin Jol, who is incidentally one of the most intimidating and one of the most affable men in football, as their new manager within the next few days. Jol (who still owns a house in Chigwell) is currently in charge at Ajax, but it is believed that he has already held positive preliminary talks with the Cottagers, and will now meet club representatives later this week to finalise the deal. The Fulham squad are scheduled to fly out to Sweden next Monday for a pre-season tour, but there won’t be an official appointment made beforehand – with Jol expected to join his new players at some point in midweek. All you Fulham fans can now breathe a huge collective sigh of relief, safe in the knowledge that one-man-morale-vacuum Sven-Goran Eriksson won’t be handed the reigns. UPDATE: Fulham are currently in talks with Ajax over a compensation deal for Jol. Yeah, jol has an unfinished business in Premier League. He was kicked out from tottenham. I am sure that he will show them that, he took them to 5th place twice by no fluke.